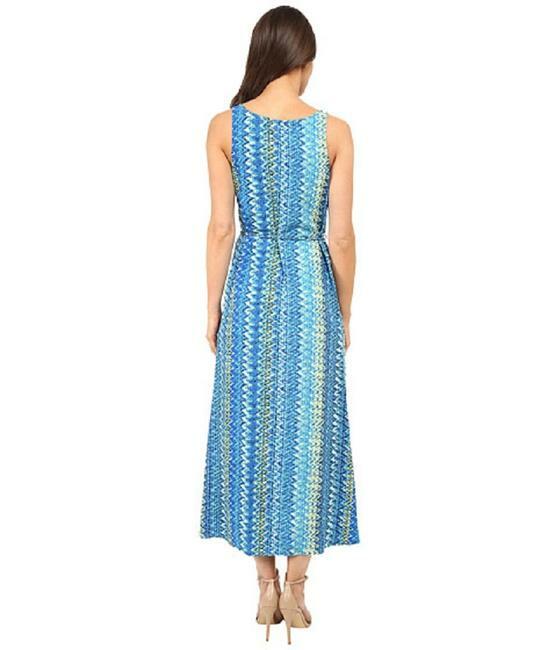 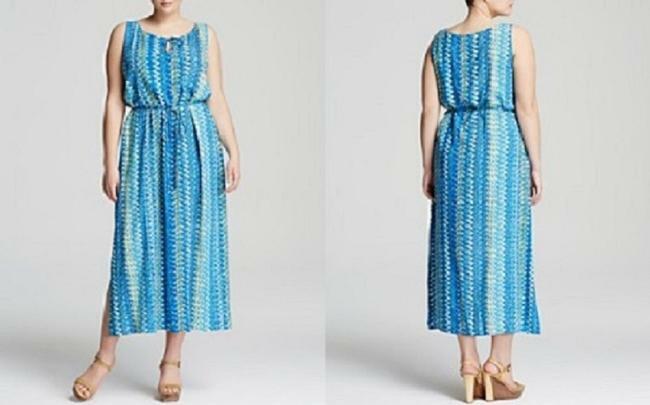 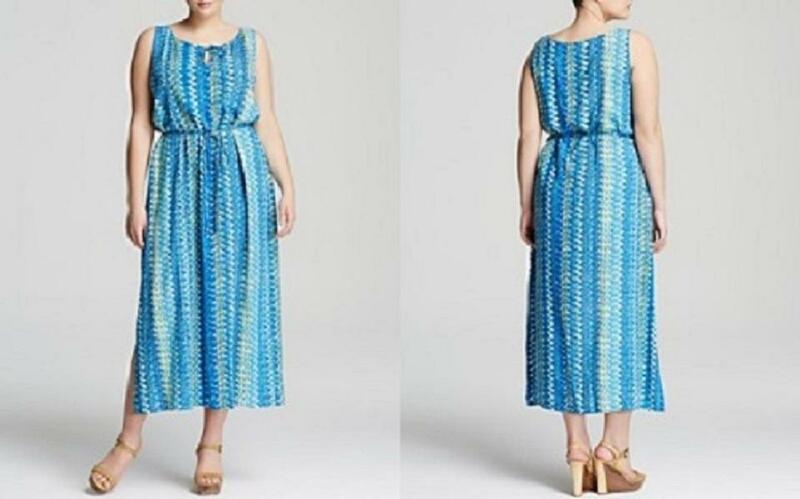 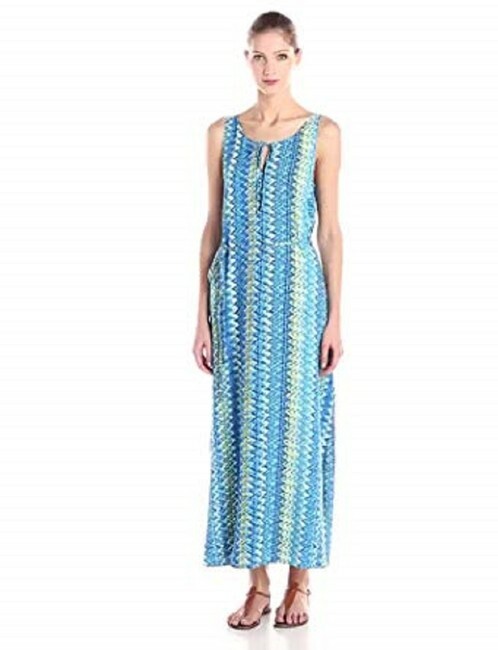 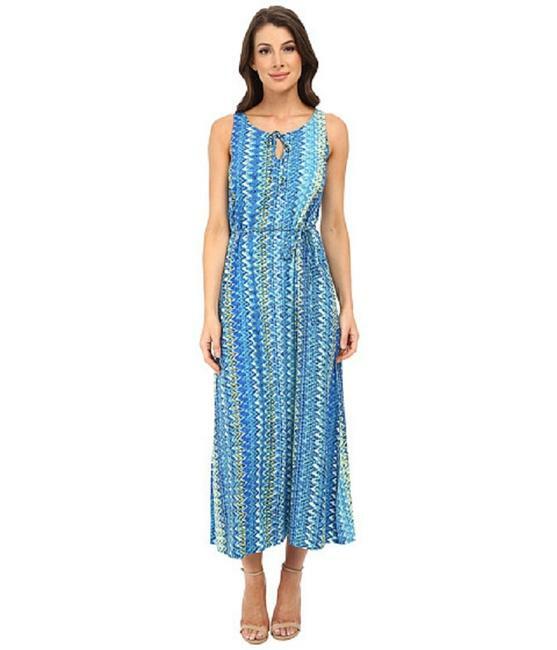 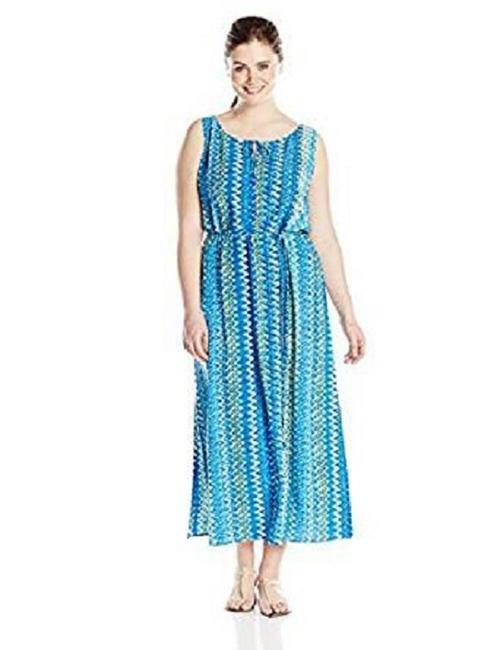 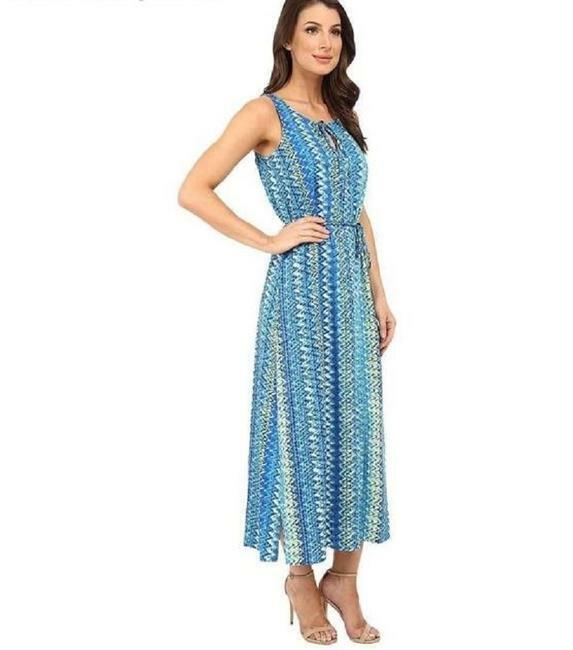 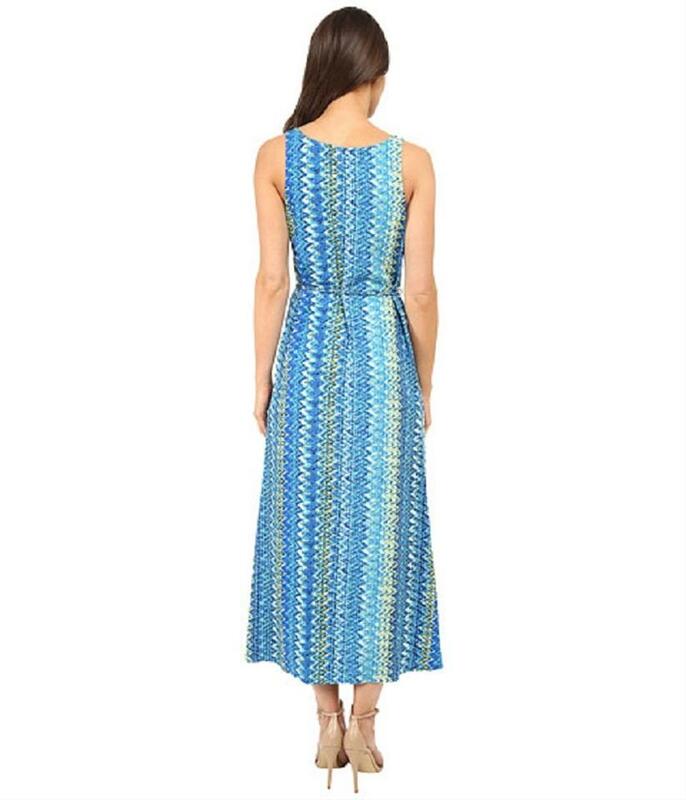 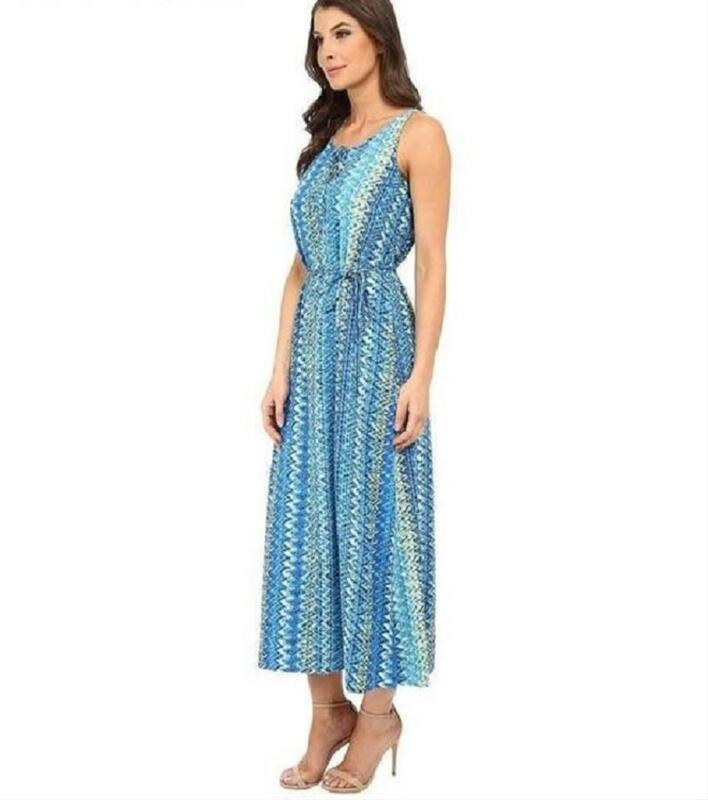 Be impeccably dressed for any vacation in this stunning maxi dress. Fabricated in a decadently soft rayon that drapes the body in a flattering silhouette. Eye-catching print featured all throughout for a standout style. 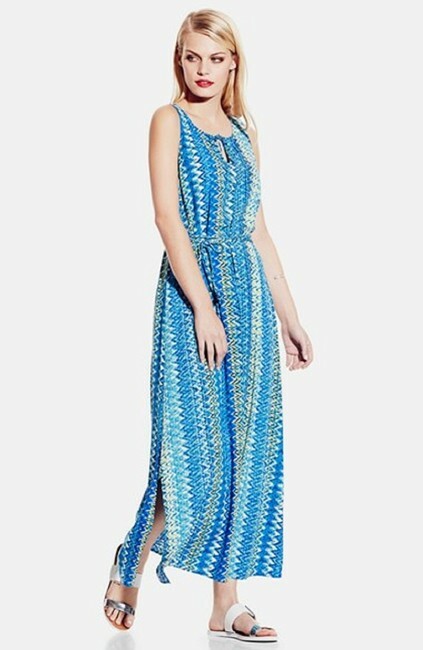 Side slits on both sides, Scoop-neck with a keyhole front and self-ties and a braided tie belt at waistband. 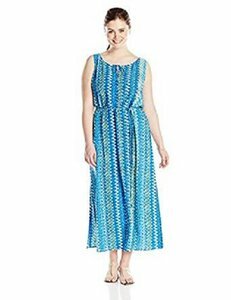 Armpit to armpit: 28", Hip: 29, Shoulder to hem: 57"